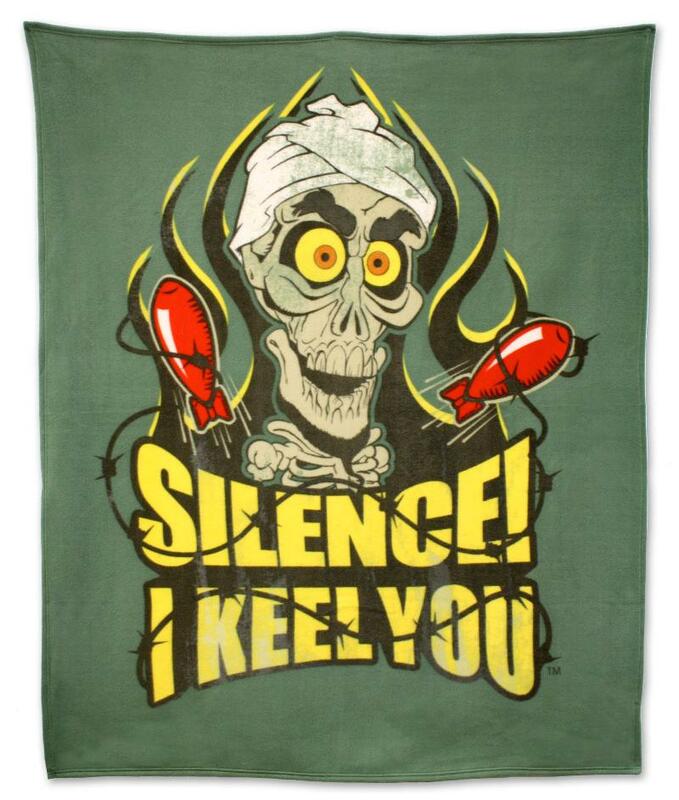 For the serious Jeff Dunham fan, there’s no better way to warm up than with this all-new Achmed brushed fleece throw blanket! When Dunham introduced this boggle-eyed skeleton, he set the world on fire… actually, he set himself on fire, then he accidentally blew himself up, and within no time he became the world’s only beloved dead terrorist. Big 50×60″ size is soft and made of machine washable polyester fleece.